The last time a set of twins appeared together in a regular season football game was all the way back in 1926 when Gene and Tom Golsen played for the Louisville Colonels. 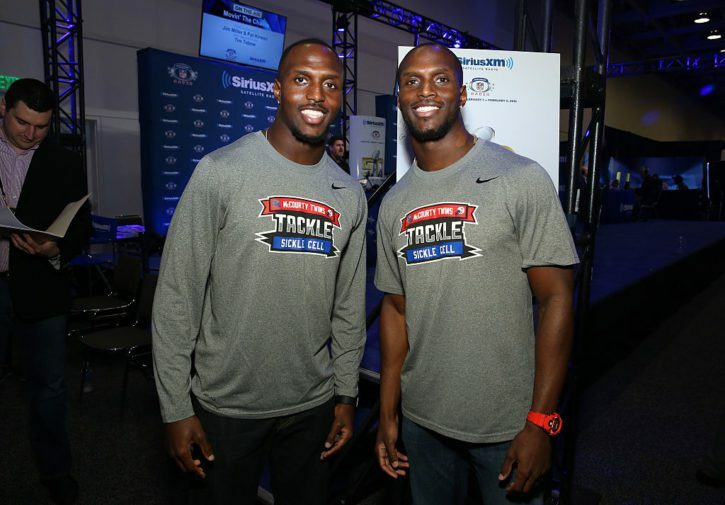 And now, in 2018, Jason and Devin McCourty will get the chance to suit up together for the New England Patriots. The possibilities are endless with a set of identical twins on the same side of the ball who have experience playing the same positions. Head coach Bill Belichick was even asked about the possibility of using them to create defensive disguises this season. The two have not played together since their college days at Rutgers from 2006-2008. Jason spent his professional career with the Tennessee Titans (2009-2016) and the Cleveland Browns (2017); while Devin joined the Patriots in 2010 and has been with the team ever since. As it turns out, Devin played a part in helping Jason come to the Patriots. After being notified by his brother that the Browns had planned to release him, Devin sent a text message to Patriots assistant coach Brian Flores, who then relayed the message onto head coach Bill Belichick – who, in turn, had already contacted the Browns about a potential trade for the veteran. And now, Jason has the potential to line up opposite Stephon Gilmore at the cornerback position.